Opening is the flicking acoustic guitar and big stomping, “Look in Her Eyes,” a song about men and women looking and working one another over. “Hole in my Heart,” an even faster rocker, complete with horns, is about Stewart losing his love to “some Russian guy” while “Farewell,” the song that follows, and “Didn’t I,” are ballads about regrets of different types. “Farewell,” about Rod’s running buddy Ewan Dawson and “Didn’t I,” a mid-tempo heart-wrenching tune about his daughter’s drug addiction. The title track sees the use of fiddle to lead a crowd sing-along sea shanty mover. Rod covers one of my favorites, maybe the most perfect lyric ever about the passing of a man’s life, “It Was A Very Good Year.” He manages a great vocal of this one made most famous my Sinatra, there’s some sparkling fine guitar work, although I am not so fond of him changing up the lyrics as he does. And “Cold Old London,” with the addition of a counter female vocal, and maybe yes, too heavy strings, sees Stewart summoning his best vocals with deep regret over letting his lady go. It’s the best tune here. 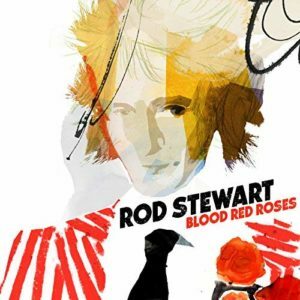 Rod Stewart knocks it out of the soccer stadium on Blood Red Roses.